ASA caught up with Clipper Round the World Racer and ASA certified sailor Scott Elles about his adventures on the open seas. Elles is doing at least three legs of the eight-leg race that spans the globe. 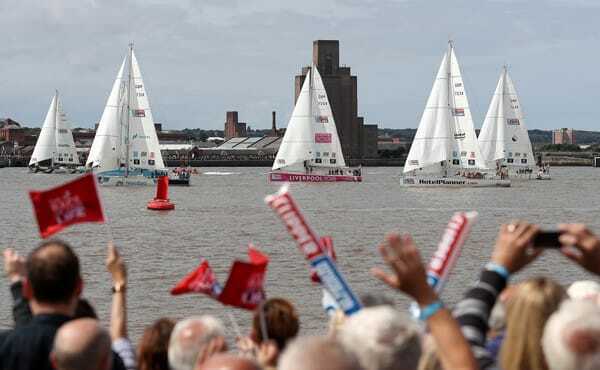 The Clipper Round the World Race gives normal everyday people the opportunity, for a price, to experience sailing around the planet on 70-foot race boats. 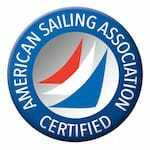 Elles got the sailing bug at age 50 and got certified to ASA 101,103, 104, 114. 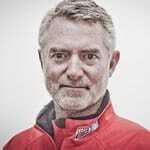 A year after learning to sail he signed up for the Clipper race. 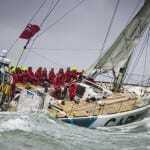 ASA: And then how long after your 50th birthday did you sign up for the Clipper Round the World Race? Elles: They call me “all in.” Once I decide to do something I’m all in. 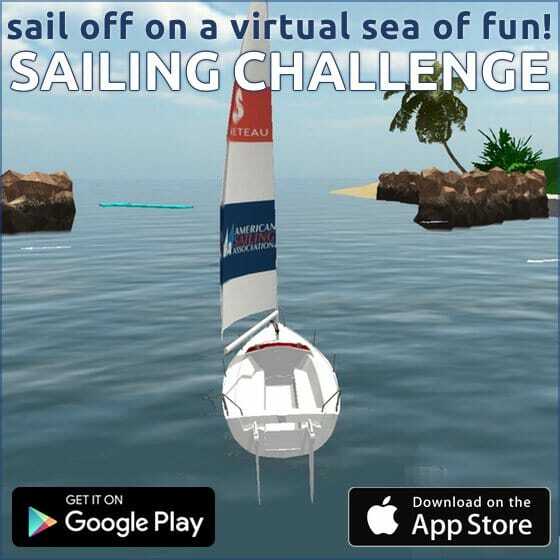 ASA: I’m assuming you looked at [the Clipper race] and thought, this seems like a safe and controlled way of doing some serious bluewater sailing but still have a true experience. Elles: Yeah I definitely saw it as that. I also saw it as a fast track way to learn. 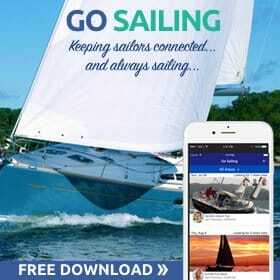 To learn real ocean-crossing type sailing. And it has been that so far. I mean, what I’ve learned, by doing, is just incredible and the people that you meet are just amazing. I’ve made friends with people all over the world that are going to be lifelong friends, for sure. ASA: I don’t doubt that for a minute. That’s a hell of an experience to go through. How much training was there? Elles: Four weeks of training. 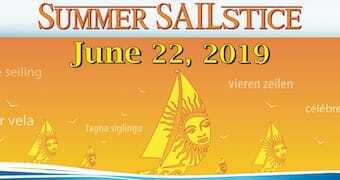 I had my first week of training in July of last year and then I had another week in the fall and another one in the spring and then your final week is where you find out which team you’re going to be on; who’s your skipper and your crew-mates. 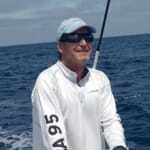 That level consolidates levels one, two and three with your team and your skipper on your boat. ASA: Is the end of the training like, say, skydiving where you feel like, all right let’s jump out of this plane now? Elles: You do, although I will also say that having now done leg one, I’d say leg one is kind of like training-level five. Because until you’re a thousand miles off the coast and completely self-sufficient, in bad weather and you know you’ve been on the sea for 10 days and you’ve got another 30 days to go. There’s all the psychological aspects of that – there’s nothing that can actually prepare you until you get there. ASA: So walk me through that first day. You’re on the dock and ready to go. What’s going through your head? How are you feeling and managing your emotions and all that stuff. Elles: Yeah it was extremely emotional, very difficult. My wife and kids were there in Liverpool waving goodbye knowing I’m not going to talk to or see them for potentially 35 days. That was really difficult. But yet, here you are with your team and you’ve got all [this adventure] to look forward to. It’s a complete unknown, you have no idea really what’s going to happen over the next 24 hours and beyond. And. It’s scary and it’s exciting. At the race start there were just tens of thousands of people out there watching both on land and in boats. But then, after all the excitement it’s just us and the other boats and 8-knots of wind. It got to be really kind of monotonous and difficult. We found it’s harder to race in 8 knots than 30. But beyond that you start to settle into your routine and it just becomes eat sleep sail repeat for the 34 days that we were on the water. But what an amazing experience. ASA: What was amazing about it? Elles: Well, for instance, one night I was on the helm and I was steering by the stars and using them to keep me on course. As I was doing that I had the realization I was looking at the same stars and the same ocean the same wildlife as Christopher Columbus, Magellan, Francis Drake and all these people. I’m seeing it exactly like they saw it. And where else can you go on this planet and have that experience? ASA: What was the watch situation? 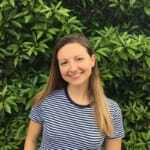 Elles: We had two watches – we were six hours on and off during the day and then four hours on and off during the night – that’s an odd number of watches so you rotate constantly and you’re never on the same watch for two days in a row. That worked really well for us. ASA: Was there any sickness in the beginning and how is the interpersonal kind of stuff? Elles: We did not have a lot of sickness on our boat. We were lucky. We had a few people in the beginning, in the the first few days that were a little queasy but nothing serious – other boats had a lot bigger issues. As for the interpersonal, I mean I think we spent quite a bit of time training with each other and we had a team-building weekend over the summer where everybody got to know each other. So we weren’t all complete strangers. I felt like we really gelled together as a team. There weren’t a lot of interpersonal issues. You know, day to day, there’s times when people can kind of annoy you, but you get over that stuff – you have to. So that wasn’t a really big issue for us. ASA: What’s the size of the crew? 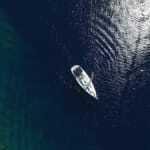 Elles: It varies depending on the leg and the boat. On our boat we had 21 crew. Another boat only had 15 crew for whatever reason. You need a minimum of six crew per watch to run the boat. ASA: The boats are pretty fast? Elles: Yeah, I mean generally, over the whole race, you know we’re probably averaging 10 and half to 11 knots. Elles: Yeah they moved pretty quick. The interesting thing is it seems like it doesn’t matter whether you have 10 knots of wind or 25, you’re going to go 10 to 11-knots. That’s upwind. Downwind if you’re not going 15 knots something’s wrong. And in fact there were a lot of times we would do 25 surfing down a wave! ASA: Any round ups or anything crazy? Elles: We haven’t had any. No. I know other boats have. We have a really really good skipper whose name is Gaëtan Thomas. He’s a young Belgian guy who’s spent his whole life sailing and I think he’s done a great job of teaching all of our crew, particularly our helms people – we haven’t had any disasters. He’s very conservative in his sail plan and I think that helps with that. ASA: Are you guys thinking competitively or are you just thinking, this is a blast who cares. Elles: Nah, we’re thinking competitively. You’re keeping an eye out every day. There may be one or two teams out there who are not thinking that way but we are – it’s very competitive. ASA: What have you seen that either you didn’t expect to see or was just way different than what you had imagined? Like maybe the enormous rollers that are out there? Elles: Yeah, it’s funny you just become desensitized [to that]. Someone asked us what were the biggest waves we saw and I they’re probably about 12 meters, but you think nothing of it. It just becomes the norm. So I guess that it is a surprise that you can become so normalized to something that is so not normal. Another might have been when we were sailing on the English Channel during our training. We were in sustained winds of 40-knots for 24 plus hours and we were just pounding. When you go down below in those boats in those kind of conditions they sound like they are just going to come apart. The noise is deafening. But again, you just come to accept it as normal. And then there’s moments when you’re in 30 knots of wind and you’re heeled over 45 degrees and you’re in the galley trying to cook spaghetti. And you’re just covered in it – those are the moments when you ask “what hell am I doing here?” Or being in the tropics and it’s so hot you can’t concentrate. ASA: How hot was it? Elles: Hotter than I’ve ever felt in my life. The sun is so intense. But there’s also this humidity, so you’re just constantly soaked and you can’t get away from it. And that was for three weeks or so. That was the biggest challenge on leg one. Every leg has its own challenges. ASA: You feel the preparation the Clipper organization provided was right? Elles: I think they prepare you very well. I think people are very well-trained to sail those boats. They say 40 percent, it seems like more, have never sailed, at all. I saw people on my level 1 training who didn’t know how to wrap a line around a winch. But by the time you get to level four they’re going up the mast fixing a halyard in the middle of the ocean. ASA: Is everybody required to do stuff like that? Climb the mast for instance? Elles: Everybody is required to do it in training. But on the race we have designated people, one on each watch, once you get in the race you tend to specialize more. ASA: And you felt physically up to the task? ASA: Was there anybody that wasn’t? Elles: They did a pretty good job of screening people. Not everybody is accepted. I know people that I trained with who were told this might not be for you. ASA: What would you say would be the highlight of leg one, if you had to choose one? Elles: Crossing the finish line. The feeling of having done what we did to get there and everything that we went through to get there. It was just an amazing feeling. Stay tuned for part 2 of this interview later this month. 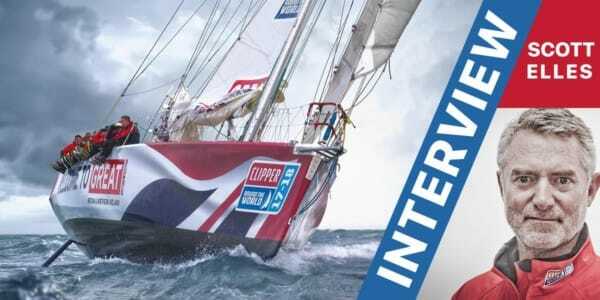 I thought it was more about Mr. Elles than any “endorsement” of the Clipper Race. I am so happy for Scott – out there living his dream! 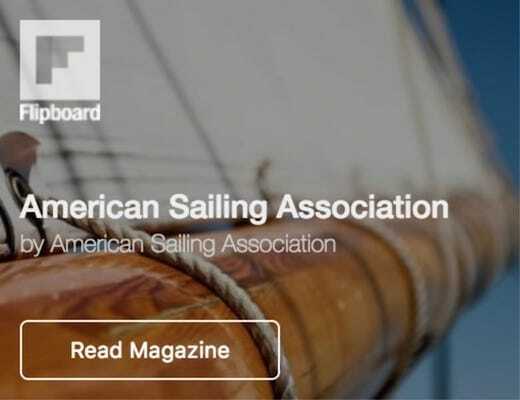 I like the way Scott and his family pursued their sailing dreams – education and training with ASA first, independent practice, then Scott registered, trained for, and is participating in the Clipper Race. The family is onboard with the program, meeting him along the way. They know the risks, and the rewards. Congratulations, Scott – and thanks for starting with ASA! I look forward to reading the next segment!